Oh yes, I remember reading in one of your posts about the boxes filled with magazines. I am so glad that you have resurrected these stories in your blog. Don’t you just love blogging? Whether its because of my psychology background or merely common observation, I’ve noticed that people who have a heavy burden on their life to do something important always tend to struggle with depression. Depression is a mere breath away from me at all times, but fortunately I’ve learned many different ways to cope with it and combat it……. Blogging, as with everything else I do, comes from my heart which is stirred to always be doing something beautiful. Being created in the image of the creator, we’ve been fashioned by the great artist who created everything out of nothing. And so I believe we have an innate desire to be just like the creator and create beautiful things; whether it be art, music, movies, writing, talking to other people, fill-in-the-blank….. we want our life to have meaning. The closer one gets to God, the more one becomes stirred to do more with one’s life. I love this comment Kenneth. I wish I had some type of psychology background. Maybe it would help me understand myself a bit better, as well as others. As for depression, yea the doctors have never given me a clear diagnosis. One doc in the last city I lived in was convinced I was bi-polar. My brother has always sworn that I have ADHD. I just consider myself a normal person with some type of chemical imbalance. I’ve always been hyper. When I was new to Brazil, I remember talking with a bunch of friends at our base one day about temperaments. I mentioned that I was sanguine, and my hubby said, “Oh no, you’re not sanguine (which infers blood). You hemorrhage. I’ve calmed down considerably since then, but I’m still more hyper than the average person (plus I take meds – if not I don’t sleep, nor am able to eat slowly – weird huh). Anyhow, went to a psychologist, shared my history and all, and she thinks it definitely sounds like ADHD. Going to do some testing and see a psychiatrist too. –I love this. And I’m so glad that you give your all to it, and produce quality material that makes people think. Beautiful indeed. I totally, 100% agree with you on the “created to create beautiful things”. Hope you’re making great memories in Boston. Great post, Stacy! To me blogging is a way to start finding my voice. It is also about the joy and risk of creating. The joy to see something that came from you be given to the world and the risk of seeing that work be rejected, ignored or misunderstood. They are both parts of the process. At this point, I am focusing primarily on the joy not worrying so much about the results. It has also helped me become a better writer. Just the discipline of writing is in itself helpful. Thanks for posting this discussion and sharing your poems to the world. You’re awesome Elias. I really appreciate what you shared here. “blogging is a way to start finding my voice.” I couldn’t agree with you more. I have found that to be partly my experience as well. Having been so active in missions before, traveling and doing the whole arts and performing thing, I never had a lot of alone time to reflect and think. Now that I have kids, and they study in the afternoons, that time is for me blog. In doing so, I have been finding my voice, and also pushed and challenged to create and ‘give birth to’ this intense need in me to create – giving voice to what’s in my soul. –When we create something that comes from inside of us, and when we give our all in doing so, we become vulnerable. We are displaying for all to see, the private thoughts, feelings, opinions, etc that we have. We are also, as you said, risking rejection or being misunderstood. Thank you Elias for such an awesome comment. You may be interested to read Kenneth’s (Culturemonk) comment below too. I really love what he said. He’s the one that really turned me on to Francis Shaeffer, and it has been life changing. Great questions there, Staci. Wow…I read this yesterday and didn’t reply right away because I wasn’t sure what the answers were. Simple but profound queries there. why blog? 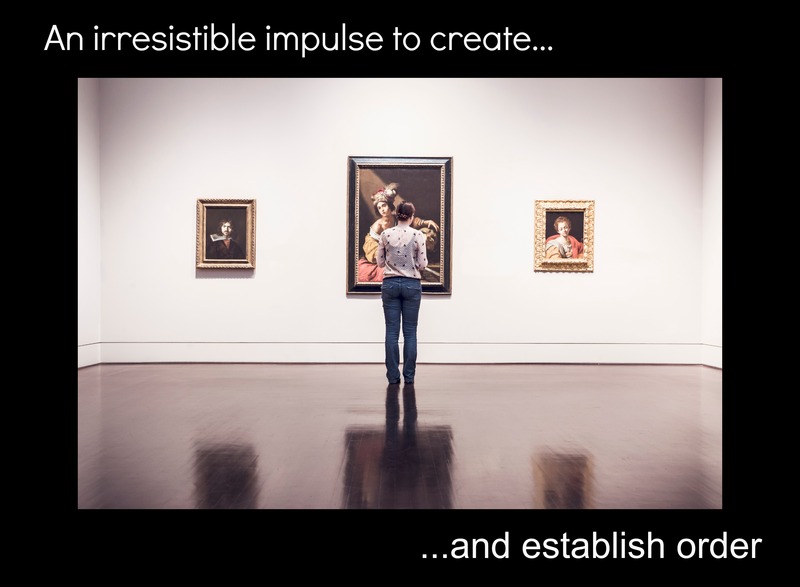 What’s the creative impulse? what drives us to share with the world?? wonderful, wonderful post, my friend! I sooooooo love reading your comments. They’re so sincere and down to earth. Hahahaha. Ok, triple threat? I don’t know about that. Used to dance, even choreograph a bit. I’ve done a bit of singing (actually, when I was a kid and teenager I did musical theatre), but I can’t draw for the life of me. Writing is really new to me actually, but it has been so refreshing, rewarding and fulfilling. Especially the poetry. I know it’s pretty simple right now, but I want to continue investing in this area and challenging myself to grow. –Sooooooo true. It is so easy to see in your writing that you are opening yourself up and allowing us to see your spirit. I truly admire your vulnerability and you are an amazing writer. –Love this. It’s totally like therapy, isn’t it. –I totally agree. We have a beginning and an end right. So everything in between is the process, hence the journey. Thank you so much for continually blessing me with your words, encouragement and friendship Paul. Beautiful Tony. And all of us bloggers are benefitting from all of your lovely posts too. I love blogging because it allows me to connect with so many like-minded people and provides me with a safe and comfortable place in which I can grow as a person. I like to create (mainly through writing) in order to try to understand the world around me and make a little sense of life itself. I like the new blog look, S.
I’m a stress eater by nature. Just gotta go back to the gospel, right? That I – yes – am not in control. Rest in His Sovereignty, title of a song I wrote in college. I hope this comment finds you feeling more centered and rested. I’m much better today, thank you Diana. My hubby is traveling. We will be releasing our second feature length film, actually the premiere will be this Saturday. Things have been hectic, to say the least. I would send you the link to the trailer for it, but for some reason the subtitles all of a sudden disappeared. I’m going to have to check it out more. I read your most recent post. I just haven’t had time to respond to it. It’s not the type of thing I want to just give a quick response to. Hopefully I’ll be able to get to it tomorrow. Your blog, your thoughts, your spirit – all beautiful and glowing here for sure. Thank you SO MUCH for inviting me into your creative space here. I’ve been reading your posts to try and catch up and it didn’t take very long at all for me to realize we are very much kindred souls. Oh, I’m so glad you are able to relate to this. There is something so magical about creating something. It’s what sets us apart from all the rest of creation – The ability to create, to imagine, to think and ponder and do something with it.